Otso Voytek | Changing the face of fat ! Every year fatbikers worldwide anxiously await to see what has been cooked up for the new model year. Oftentimes we see a remixing of current industry components and ideas, splashes of new colours and graphics and sometimes an innovative new flavour profile. And then there are times when we are presented with something that truly awakens our fat pallets, igniting our senses and leaving us wanting more. So what happens when you have a group of innovative bike crazy engineers, who are less than enthusiastic with current offerings, and want to nudge the envelope? 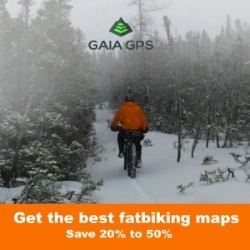 You get a new player entering the fatbike marketplace . . . Otso Cycles and their ground shaking Voytek fattie. The bike savvy folk of Minnesota based Wolf Tooth were looking for bikes that did not exist, and instead of waiting . . . they started a bike company and built their own. 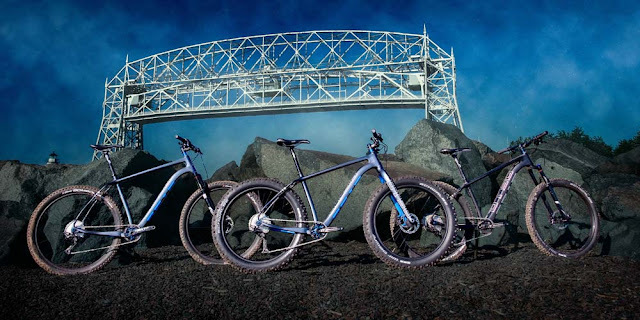 The results of their efforts are two groundbreaking new bikes: a fat-capable narrow Q-factor bike and a multi purpose drop-bar bike. In the midst of WW2, the Polish army discovered a stray bear cub alone in the wild. This bear, named Voytek, grew to become a valiant soldier. Voytek drank beer, smoked (or ate) cigarettes, wrestled with the troops, and even helped carry ammunition into battle. 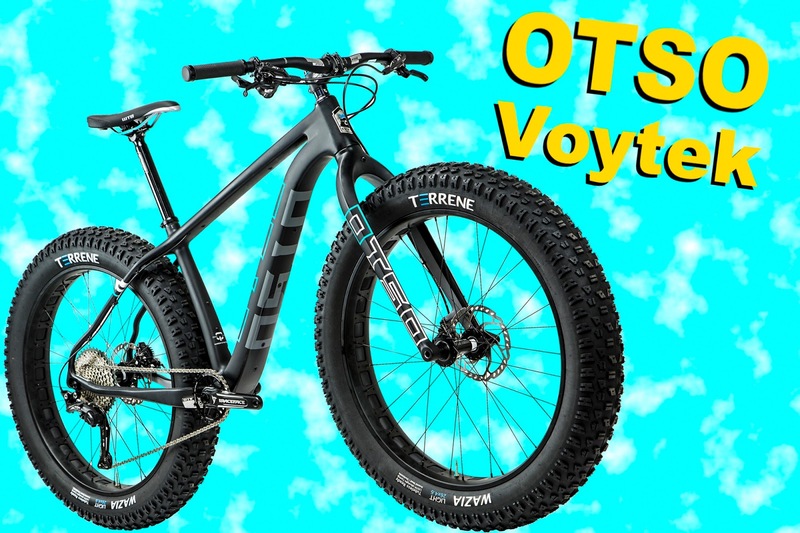 The folks at Osto say that just like the legendary bear, their Voytek bike can be playful or serious . . . always ready for any mission. The Voytek is a carbon fiber hardtail fattie that can transform into a 27.5+ or 29+ nimble trail bike. 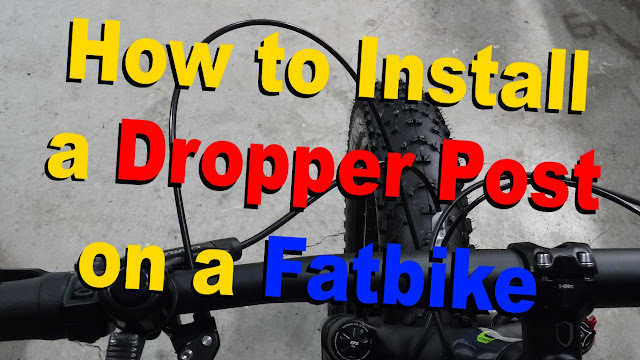 In addition to having the narrowest Q-factor of any production fatbike, the Voytek also sports an easily adjustable drop out system called the Tuning Chip. 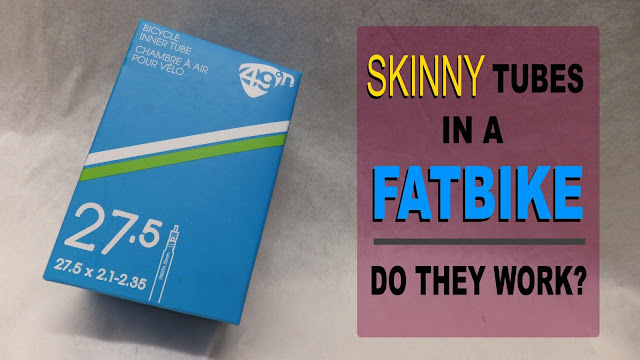 Narrowest Q-factor on the market using 83 mm bottom bracket, which is 17% narrower than the 100 mm bottom bracket used in most production fatbikes. Tuning Chip adjustable drop out system that can quickly and easily switch from a nimble 430 mm chainstay to a fast and stable 450 mm. You want both . . . try the 440 mm option. 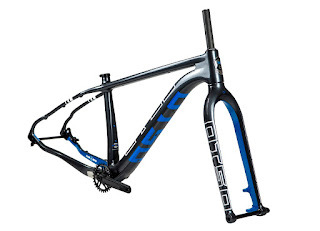 Plus-Fat design delivers great handling as a 27.5+ or 29+ trail bike. 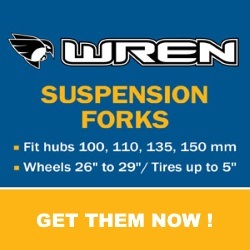 Maximum tire sizes are 26 x 4.6, 27.5 x 2.6 and 29 x 3.0. Longer top tube, with shorter chainstays and a slightly slacker head tube angle make it quick and fun. Suspension corrected geometry for up to a 120 mm fork. 177 x 12 rear spacing with 150 x 15 front. EPS molded carbon fiber frame. 100% carbon with no aluminum inserts or fiberglass. 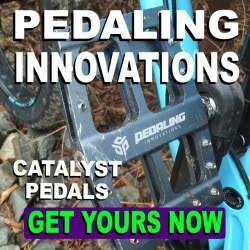 The narrow Q-factor provides benefits in biomechanics as the pedals are spaced about 10 mm wider than a regular mountain bike, whereas other fatbikes are 30-50 mm wider. Reducing knee and hip strain and improving bike handling are two of the man benefits of a narrower bottom bracket. Complete Voytek build specifications, frame geometry, and customization upgrades and add-ons can be found at Otsocycles.com. 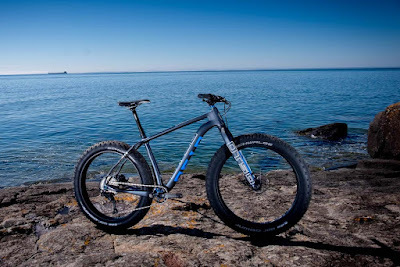 With the narrowest Q-fatctor of any production fatbike, this customizable carbon cycle is designed to feel more like a mountain bike and less like a fatbike . . . opening up a whole new dimension to winter and summer riding. 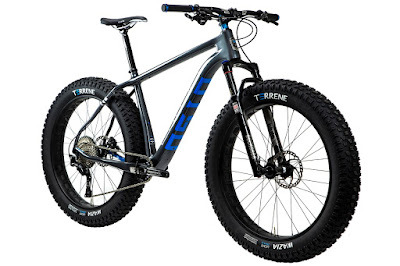 If this is Osto's entree into the fatbike arena . . . I cannot wait to see what exciting things the future holds. And if your fat pallet also likes an occasional taste of skinny, be sure to take a look at peek at the Osto drop-bar Warakin. 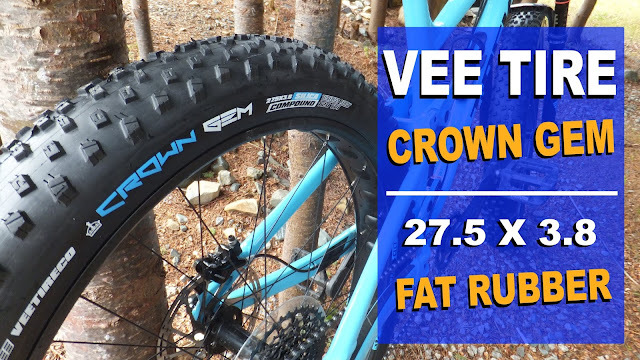 Stay tuned to Fatbike Republic for when we get up close and personal with the Voytek.